BGO is one of the biggest and best bingo sites out there. This site is exciting, trustworthy and a great place to enjoy the game whether you’re a brand new beginner or a seasoned bingo expert. 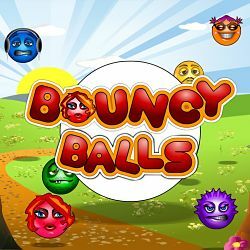 One of the most recent additions to BGO Bingo is the brand new game, Bouncy Balls. To celebrate the arrival of this new title, BGO has launched Bouncy Balls Bingo Madness. This month-long promotion will be treating players to some fabulous prizes in the Bouncy Balls room every Friday and Saturday night throughout March. Winners in the Friday night games will receive 1TG Feature Prizes and the Saturday-night games have £20K in guaranteed cash prizes up for grabs. To take part in this promotion, all you need to do is sign into BGO Bingo from the 3rd-31st of March and purchase tickets for the Bouncy Balls games taking place on Fridays from 8pm to 10pm and Saturdays from 6pm until midnight. You can purchase your tickets for between 10p and £2- which is incredibly cheap considering how generous the prizes on offer are! You don’t have to be an existing member of BGO to come away with some of those brilliant Bouncy Balls prizes. So if you like the sound of the offer, get involved right now by making an account at the site through Cashbacker. Bouncy Balls Bingo Madness will be active at BGO Bingo every Friday and Saturday from the 3rd until the 31st of March. Please note that the promotion will only run in the Bouncy Balls room on mobile and tablet devices, not desktop. All BGO members are welcome to take part in this promotion.